One of the most significant features of eastern Texas is its landforms. We are not far from the coast, but we are lucky enough to enjoy the plains. It is also great for agriculture, raising horses and building swimming pools. Our construction staff and designers find some interesting situations such as a slope near a lake. The question arises on how to keep a swimming pool in its place, sometimes the solution to this includes adding raised walls into their designs. It is not only for a technical function but also as a part of beautifying your oasis. Raised walls are also often used to beautify swimming pool designs, giving you a place to put various water features, fire features, or potted plants. Technically speaking, a raised wall can fill any void when it comes to slopes or elevated areas. When this happens, you may consider where your swimming pool should go. It can be at a high part, a low part, or the middle of a slope. In our case, most of our projects are on a flat surface, unless otherwise like in one case we had with one of our past customers. If your backyard is not in a raised area, your designer may recommend a raised wall to fit your needs, especially if you want water features. In most cases, raised walls are around two feet. If you are looking to build a higher wall, don’t worry! We have a team that can help you with it as well. The materials you choose to use for your raised wall will determine the cost of building or remodeling your swimming pool. For this reason, it is essential to have a pool company to do it for you. A designer can guide you to the process and find a way to accommodate your budget too. There is a great way to beautify a raised wall; from scuppers to sheer descents, water bowls, spillways, and even fire bowls and LED lights can raise the bar in a swimming pool aesthetics. We use the best materials to spruce up a raised wall to last a very long time. When we include water and fire features to raised walls, it becomes a relaxing place of sound and vision. 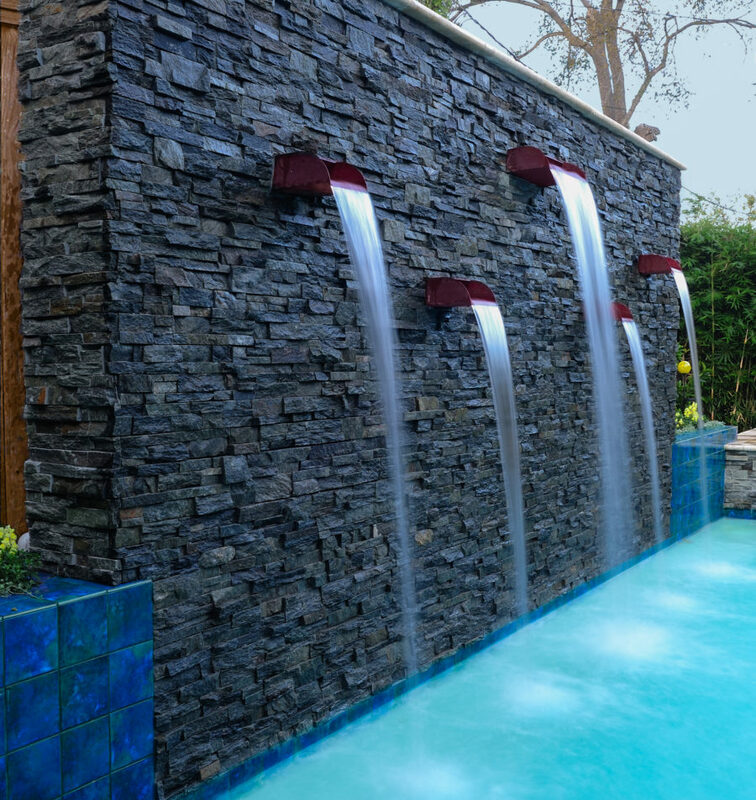 While you listen to water fall from a water feature on your raised wall, you can see beauty right in your backyard. Like a weeping wall, you can place the appropriate plants to surround the area. If you plan to have a new swimming pool, or renovate your existing pool, consider including a raised wall. We are sure that a raised wall will bring out the best in your swimming pool and your backyard. Remember, at Platinum Pools, we have experts that can guide you in the construction or renovation of your swimming pool. Visit any of our offices in Houston, Beaumont or Victoria, or call us at 281.870.1600 to learn more.